Next draw: 25/Apr/2019 04:30 in Vienna, Austria - $1.7 million in the jackpot! Next draw: 25/Apr/2019 07:00 in Madrid, Spain - Ƀ2,250 in the jackpot! Next draw: 25/Apr/2019 10:00 in Brasilia, Brazil - $760,000 in the jackpot! Next draw: 06/Jul/2019 22:30 in Madrid, Spain - $203 million in the jackpot! Next draw: 06/Jan/2020 23:00 in Madrid, Spain - $1.1 billion in the jackpot! Next draw: 27/Apr/2019 05:00 in Helsinki, Finland - $106 million in the jackpot! Next draw: 27/Apr/2019 06:30 in Paris, France - $29 million in the jackpot! Next draw: 24/Apr/2019 14:55 in Gibraltar - $29 million in the jackpot! Next draw: 25/Apr/2019 05:30 in Paris, France - $20 million in the jackpot! Next draw: 25/Apr/2019 05:00 in Wiesbaden, Germany - $1.689 million in the jackpot! Next draw: 25/Apr/2019 04:00 in Saarbruecken, Germany - $17 million in the jackpot! Next draw: 26/Apr/2019 01:15 in Hong Kong - $13 million in the jackpot! Next draw: 25/Apr/2019 06:45 in Dublin, Ireland - $5.4 million in the jackpot! Next draw: 24/Apr/2019 16:33 in Warsaw, Poland - $1 million in the jackpot! Next draw: 24/Apr/2019 14:35 in New York, USA - $10 million in the jackpot! Next draw: 01/Jan/2020 10:00 in Brasilia, Brazil - $107 million in the jackpot! Next draw: 25/Apr/2019 06:40 in Warsaw, Poland - $120,000 in the jackpot! Next draw: 25/Apr/2019 10:00 in Brasilia, Brazil - $34.4 million in the jackpot! Next draw: 27/Apr/2019 14:00 in Atlanta, Georgia, USA - $288 million in the jackpot! Next draw: 25/Apr/2019 13:45 in Mexico City, Mexico - $18.1 million in the jackpot! Next draw: 24/Apr/2019 23:45 in Warsaw, Poland - $100,000 in the jackpot! Next draw: 26/Apr/2019 06:40 in Warsaw, Poland - $1 million in the jackpot! Next draw: 25/Apr/2019 14:00 in Tallahassee, Florida, USA - $225 million in the jackpot! Next draw: 25/Apr/2019 06:30 in Johannesburg, South Africa - $7.2 million in the jackpot! Next draw: 27/Apr/2019 06:30 in Johannesburg, South Africa - $500,000 in the jackpot! Next draw: 27/Apr/2019 21:30 in Sydney, Australia - $5 million in the jackpot! Next draw: 29/Apr/2019 07:00 in Madrid, Spain - $9.8 million in the jackpot! Next draw: 28/Apr/2019 05:00 in Rome, Italy - $239.9 million in the jackpot! Next draw: 25/Apr/2019 03:15 in Switzerland - $23 million in the jackpot! Next draw: 25/Apr/2019 05:00 in Basel - $49.9 million in the jackpot! Next draw: 26/Apr/2019 05:00 in Gibraltar - $50 million in the jackpot! How do you choose your lottery numbers? If, like most, you choose birthdates, you should be aware of the flaws of doing so. True, there is no correct single method of choosing winning numbers, but there are ways you can increase your chances of a higher prize. Of every seven numbers drawn on lottery results day, four numbers are over 31. Keeping that in mind. Do you spot the problem of picking birthdates? People also see these high numbers occurring regularly and decide to go low to avoid those high numbers. Let us examine that statistic again: Of every seven numbers drawn, four numbers are over 31. You should choose higher numbers every time. But for your best chance of winning, remove the non-random element and choose Lottoland’s quickie numbers instead. How Do I Keep Track of All Lottery Results? Every day, somewhere in the world has a lottery draw. You could visit the website of every lottery in the world, but that would be a waste of time. Use Lottoland instead as we keep track of it for you. Just log in to see what’s going on in the world of lotteries. 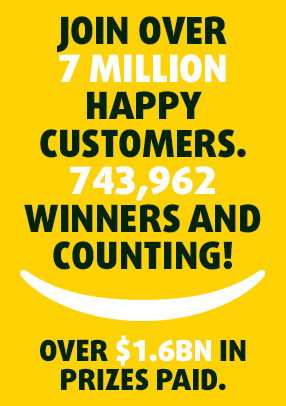 It’s easy to check your lottery results for today at Lottoland with a simple sign in. It’s all there; you’ll see lottery results today, every day. Never miss a draw again. With Lottoland, you can place bets on upcoming lottery draws up to 30 minutes before the official draw takes place. What Are My Odds of Winning A Prize on Any Given Lottery Results Day? While most people dream of winning a jackpot worth millions of dollars, don’t forget those all-important smaller prizes. Second and third tier prizes have a better chance of winning and can still deliver life-changing sums of money. In some cases, a third tier prize can be worth millions too. It’s important to note that for both of these American games, the second tier prize is often valued at over $2,000,000 on a typical lottery results day. Now we’ve established that it’s not a good idea to deliberately select numbers under 31, here are some methods that might work for you. •	Selective lottery pick: We noted above that numbers above 31 come up more often than numbers under 31 on lottery results day. That’s why some people choose only numbers over 31 at Lottoland. The problem with this is that in restricting your pool, you do not increase your chance of winning. Use a random number generator such as our QuickPick at Lottoland to maximise your chance of getting a better chance of a return on lottery results today. It’s often the case that a major prize is not won on lottery results day. There are procedures and rules in place on what happens. There are benefits to both systems. The first generates excitement at a potentially enormous jackpot, such as the handful of occasions when an American lottery has resulted in a top tier prize over one billion dollars. The benefit to the second is the potential for higher than expected prizes for fewer number matches will encourage more players.